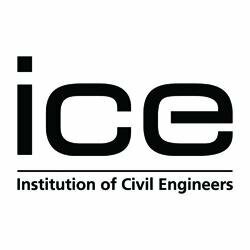 Today the Institution of Civil Engineers has released their State of the Nation: Infrastructure 2014 report and it calls on the UK government to embrace cycling as a mainstream travel choice. It is well worth reading the section on Local Transport Networks, it makes rather depressing reading. Well done ICE for highlighting and supporting these issues. Both walking and cycling have an important role in shorter trips for joining up public transport journeys, alongside associated health and well-being benefits. Traditionally most of the benefits of transport infrastructure projects have been associated with reductions in travel time; however, studies suggest that active travel should be considered as a positive aspect in infrastructure appraisals. Walking is often neglected in transport debates yet still accounts for around one-quarter of trips and is the second most common mode of commuting. Environments that are attractive to pedestrians are often also attractive places to live, work, shop and socialise. ICE would like to see walking promoted through better streetscape management, including wider, better-lit and better-maintained pavements and public realm. There should also be a reduction in unnecessary street furniture, traffic-calming and other measures to make existing environments more pedestrian-friendly. This entry was posted in Uncategorized on June 26, 2014 by Matt. yeah, just picked up hard copy of this at the SCCI Transport Forum where they were v receptive to the business case for cycling!